Nature is a manifestation of the innate creative principle of the Tao. It is the myriad of things produced by the movement of the Yin and Yang. Insights about nature are insights into the workings of the Tao. You can see it in both living organisms and in the non-living aspects of the cosmos that we live in. The essential nature of yin and yang is change. In the physical world, the weather is a good example for seeing how energy affects our weather and climate. The sun heats the water, air, and land. The build-up of temperature and density causes a change in the polarity of key sub-atomic particles. When this potential reaches a critical point, there will be a convergent release or movement. This is the same movement that you experience and realize this with the onsett of lightning. The Yin and Yang perspective is relevant to the Tao cultivator because it sets the foundation for understanding how the Tao operates as both the source and a way of spiritual discipline. This binary perspective of changing polarity applies to everything. It is an important understanding for developing life strategies. When you factor the Yin-Yang principles of what has happened and what will happen, you can have more success in shaping your destiny. Knowing that permanence is an illusion, you can accept that change is inevitable. Clarity is the term for realizing how things are. Clarity is seeing the nature of the Tao in life. Through clarity, you can observe the nature of life in the Tao. Acceptance is having clarity and abiding with the truth. Going against the nature of the Tao creates stress, tension, and suffering. Example: When inconvenient weather intervenes with planned outdoor activity and you get upset. Example: When you become impatient because it is taking too long to make that left turn. Understanding and acceptance of this fundamental universal law is a necessary step in developing your wisdom. Resisting, fighting, and denying, only cause internal conflicts. You can learn to unify with the flow of the Tao and find harmony. Striving is going against the nature of something. Harmony is the balance achieved when working with the nature of things. The wisdom is accepting that creation and change are part of nature. The wisdom is in both acceptance and unifying with nature and its laws. Awareness of this Tao phenomenon and integrating it into your life is an element of attaining the Tao. What is your relationship with the laws of nature? This may be the first time that you have ever considered such a notion. Tao and the divine are one in the same. When you align your higher consciousness with the Tao, you are attaining the Tao. Attaining the Tao is to be at one is to be in unity with nature. Why would you not seek that? Your answer will reveal your present relationship to the Tao. I encouraged you to enrich your perspective of life events and situations by realizing more than one perspective on any given situation that will arise. A multi-perspective view will empower you to increase wisdom. Learn to see and accept the underlying reality of the world around you. Are you working in harmony with the laws of the universe (nature)? Going against the natural order of things creates striving, stress and distraction. To be at one with the Tao you must become aware and mindful of the patterns and flow. Then you can adapt to the timing of circumstances. If you are too distracted, too inflexible, too rigid in your beliefs, you will miss the true nature of life in those moments. As stated above there are two simple but important ways to define the Tao. One is to recognize it as the void or emptiness that is full of potential and the source of all things. The second is The Tao translated as“the way” or the path. This is a spiritual path. The word “path” is a metaphor for the long experience you have as a sentient being. It becomes a spiritual path when a person becomes self-aware and witnessing of the life experience as it happens. Being consciously aware of life as it is happening is the point, the reason, and purpose of life. To witness and have the experience. The prime directive for all living beings is to experience, to learn, to evolve. Most of the lower animals do this naturally. Their central purpose is to just remain alive in a dangerous world. Humans have evolved to the point where it has become too easy to be in a state of distraction and detached from being aware and present with life. One the one hand the distraction might be some kind of desire fulfillment. On the other hand, it might be a way of coping with the obstacles in life. In this state, those who are constantly distracted are disconnected are unaware of the life they are creating through unwise choices. So even though they are on life’s path, they are unaware of their destiny because they become detached from it. In every moment of every day, we each make choices that form our destiny. Choices and actions create the future that will be experienced later on life’s path. This future is our destiny. This path, the true path is not hard to stay on if you just pay attention. As stated above, it “is broad and plain”. You are on this path whether you choose it not. So the best wisdom is to wake up and manage your life. We all must disengage from distraction and reconnect with life by being present and paying attention to what we do and why we are doing it. By being mindful of what we focus on we can moderate life with balance and create harmony. As you make your mindful choices, avoid extremes and be moderated in your way forward (choices). It is the lower level of spirit, the ego, which “likes the side path”. Ego always following desire and self-serving interest becomes a lost in the weeds at the side of the road. Often we are searching for happiness in all the wrong places. By becoming self-aware and mindful, your choices keep you on the true path. This is sovereignty. So, no matter who and where you are, you are on the path. Wake up from the side paths and take charge and pay attention. Develope sovereignty to manage the ego and stay on your true path. Hopefully, you have been enjoying the short insights that I share on this blog. You may be interested to know that the Ebook is available for free at Kindle Unlimited (KU). KU is Amazon’s lending library. Members can check out up to 10 books at a time. Membership is $9.99 per month. Sovereignty is available as a “read for free” for those members. 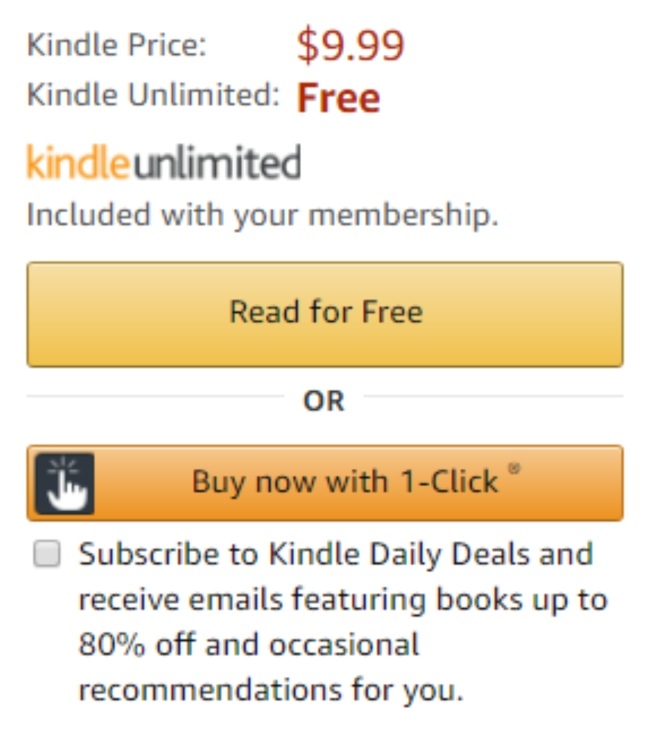 So if you are Kindle Unlimited ed member, I recommend downloading my book and gain some powerful insights. With the digital version of this book on your phone or tablet, you can read it where ever you happen to be. So while you are waiting, you can learn some of the ancient secrets for a happier longer life. You can and should work on your self where ever you are. Real life is where truth is discovered and wisdom realized. The ebook is designed to easy to navigate back and forth at random. The inherent links and bookmarks along with the Kindle e-reader features make it easy to highlight sections and make notes. This book is a handbook for cultivating the Tao Discipline of Sovereignty and user friendly. I don’t recommend many books, but here is one by my friend and mentor Derek Lin. Regardless of what faith you follow, these philosophical lessons are practical and helpful. I have gained a lot of insight from this book that has helped me be patient and wise when it was needed most. If you do get and read the book, please leave a review.